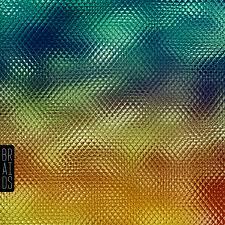 Musica Escrita: Braids " Native Speaker "
Braids " Native Speaker "
Esta é uma banda a ter em conta nos próximos tempos dentro do indie/rock. Com "homebase" em Montreal, Canadá os Braids preparam-se para lançar o seu album de estreia no próximo dia 18 de Janeiro 2011. "Native Speaker" é o nome do disco e a edição fica a cargo da Kanine Records. Smith Westerns " Dye It Blonde "
Minks " By The Edge "
The Dirtbombs " Party Store "
Elbow " Build a Rocket Boys! " Kurt Vile " Smoke Ring For My Halo "
Gorillaz " The Fall "
Mutineers " Friends, Lovers, Rivals "
Papercuts " Fading Parade "
Ben + Vesper " Honors "
Wye Oak " Civilian "
White Fence " ......Is Growing Faith "
ANR " Stay Kids "
Rainbow Arabia " Boys and Diamonds "
Fenech Soler " Fenech Soler "
Faun Fables " Light Of a Vaster Dark "
Parts & Labor " Constant Future "
Isolée " Well Spent Out "
Mountain Goats " All Eternals Deck "
B Fachada " É Pra Meninos "
Beady Eye " Different Gear, Still Spending "
Julianna Barwick " The Magic Place "
The Caribbean " Discontinued Perfume "
Beach Fossils " Beach Fossils "
Amadou & Mariam " Remixes "
Steve Wynn & The Miracles " Northern Agression "
Surf City " Kudos "
The Joy Formidable " The Big Roar "
Tape Deck Mountain " Secret Serf EP "
Super Wild Horses " Fifteen "